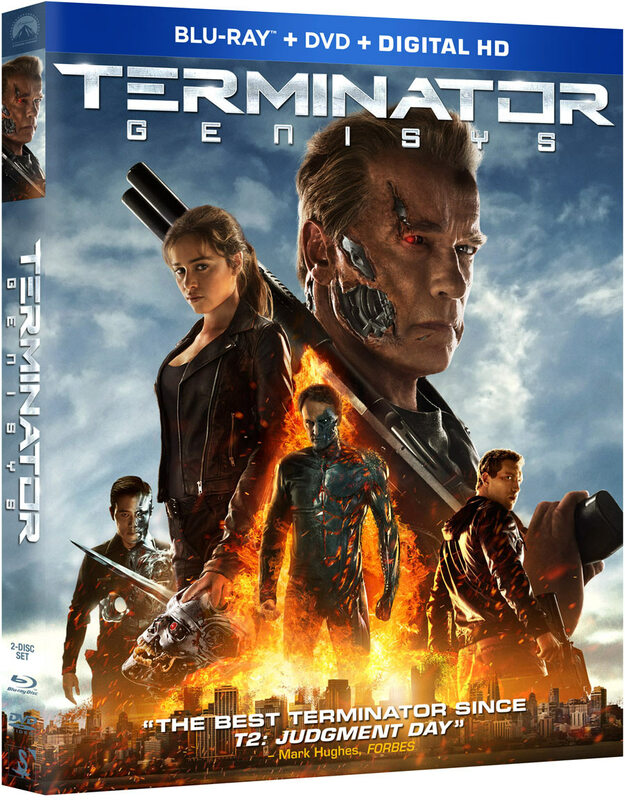 Paramount Home Media Distribution has revealed the release date, details and cover artwork for Terminator Genisys coming to Blu-ray Combo Pack, Blu-ray 3D Combo Pack, DVD, Digital HD and On Demand. Terminator Genisys will arrive on Blu-ray 3D, Blu-ray, DVD, and On-Demand November 10, 2015 and is now available for pre-order at Amazon.com. Get it early on Digital HD October 20, 2015. You can view the cover art and bonus features below. In the war of man against machine, Kyle Reese (Jai Courtney) is sent back to 1984 by resistance leader John Connor (Jason Clarke) to protect his young mother, Sarah Connor (Emilia Clarke). However, this time unexpected events have altered the past and threaten the future for all mankind. Now Reese must join forces with Sarah and her “Guardian” (Arnold Schwarzenegger) to save the world and stop the next evolution of Terminators. The fifth installment of the ‘Terminator’ franchise stars Arnold Schwarzenegger, Emilia Clarke, Jai Courtney, Jason Clarke, J.K. Simmons, Byung-hun Lee, Dayo Okeniyi and Matt Smith. Family Dynamics – Casting Terminator Genisys and how the actors filled some of the most iconic roles in cinematic history. Infiltration and Termination – Go behind-the-scenes to San Francisco and New Orleans in a first-hand look at filming locations. Upgrades: VFX of Terminator Genisys – Delve into the revolutionary visual effects behind the movie’s incredible action sequences.